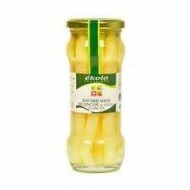 Buy Organic White Asparagus, Ékolo, 12 oz. glass jar. Organic Asparagus rapidly collected and carefully peeled to achieve a delicate texture and great taste. These white asparagus have been handmade and always respecting the environment. Gourmet spanish ecological product. 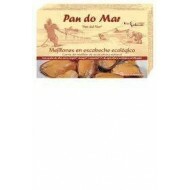 Buy Organic Pickled Mussels, Pan do Mar, 4oz. container. Ecological Mussels grown from Galician Rias. These mussels have been packed in escabeche sauce, made with extra virgin olive oil, vinegar, spices. All ingredients are organic production handmade and always respecting the environment. Gluten Free product. 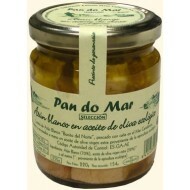 Buy Tuna in Olive Oil Organic Extra Virgin, Pan do Mar, 4oz.container. Tuna Fillets in Olive Oil Organic Extra Virgin. These tuna steaks come from controlled and sustainable fishing, caught by inshore fishermen of northern Spain. By not using nets to catch them you get a guarantee for the quality of fish. 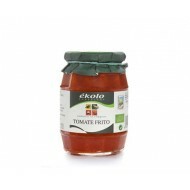 Ecological Gourmet Spanish Product. 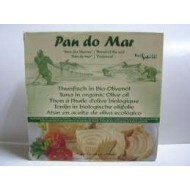 Buy Natural Organic Light Tuna, Pan do Mar, 4oz. container. Ecological Loins natural Tuna, without oil. This Tuna comes from controlled and sustainable fishing, caught by inshore fishermen of northern Spain. By not using nets to catch them you get a guarantee for the quality of fish. Ecological Gourmet Spanish Product. 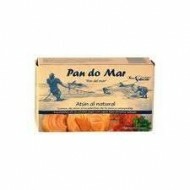 Buy Albacore in Olive Oil Organic Extra Virgin, Pan do Mar, 8oz. jar. Albacore fillets in olive oil organic extra virgin, skinless, boneless handmade. Tuna comes from controlled and sustainable fishing, caught by inshore fishermen of northern Spain. 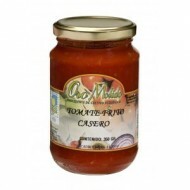 Gourmet Ecological Spanish Product. 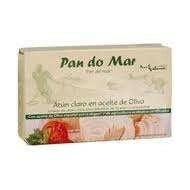 Buy Tuna in Olive Oil Organic Extra Virgin, Pan do Mar, 18oz. container. Tuna Fillets in Olive Oil Organic Extra Virgin. This Tuna comes from controlled and sustainable fishing, caught by inshore fishermen of northern Spain. By not using nets to catch them you get a guarantee for the quality of fish. Gourmet Ecological Spanish Product.